Elmore Railway Station and Water Tower were constructed in 1870 by P Cunningham for the Victorian Railways on the Melbourne-Echuca Line. 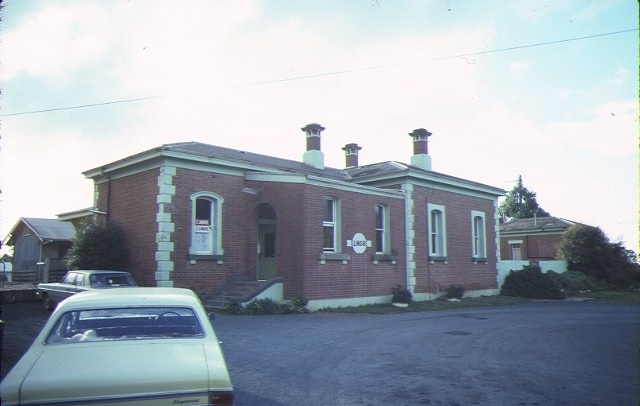 It comprises a single storey Italianate railway Station building and residence with slate-hipped roof and cast iron gutters. The brickwork is relieved by stuccoed window and door dressings and quoins. A brick lamp room/ toilet block adjoins. The square, 20,000-gallon water tower is supported on a trabeated brick base with round base openings. The station currently serves goods trains only, while operating as a local museum. 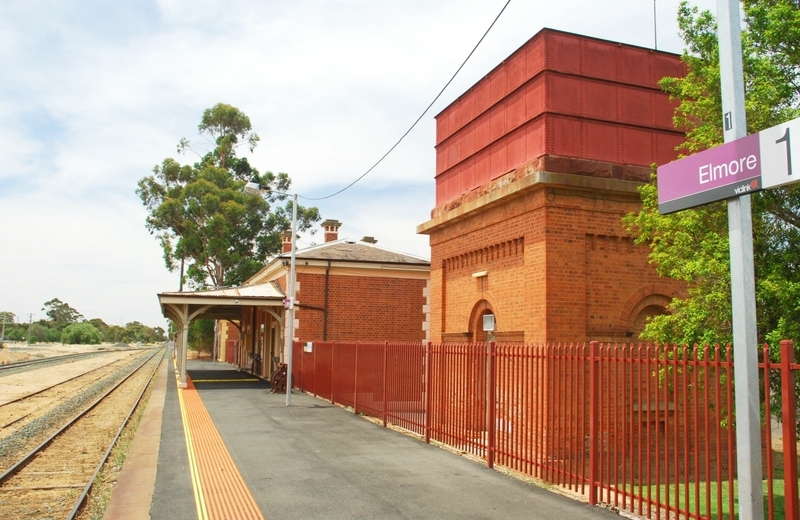 Elmore Railway Station and Water Tower are historically and architecturally significant to the State of Victoria. Elmore Railway Station and Water Tower are historically significant for their association with the development of the 'light lines' era, c1869 - c1884. The water tower is historically significant as a reminder of the pre-eminence of the steam era. The tower is a substantially intact example of a railway water tower constructed during the late 19th century to facilitate the operation of the steam engines. 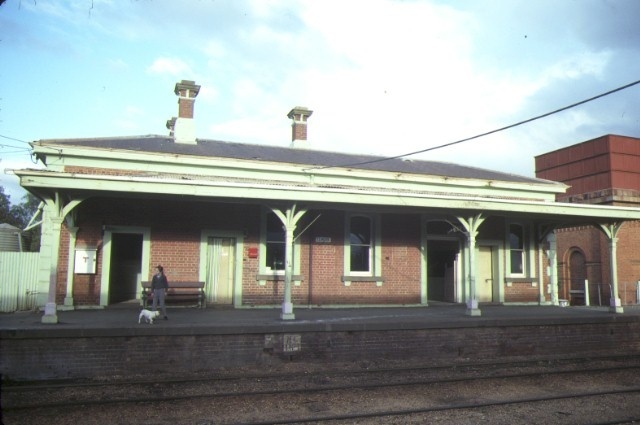 Elmore Railway Station is architecturally significant as an important and intact example of the 'Castlemaine' style of railway stations. The 'Castlemaine' style features architectural devices characteristic of the Italianate school, such as heavy rusticated quoining, eaves corbelling, and low hipped roofs. 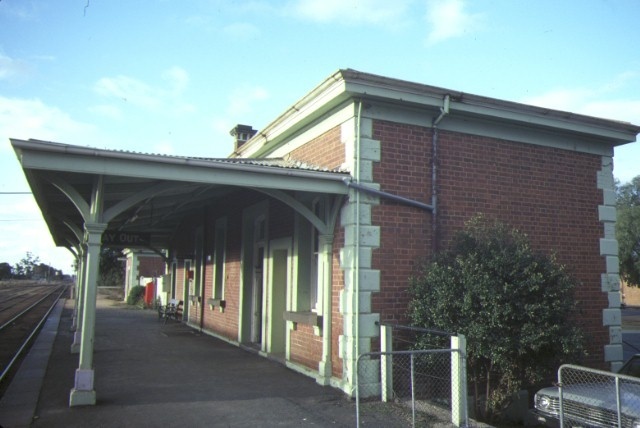 Built shortly after the opening of the line, it serves as an important contributor to the character of the line and was a precursor for the 'Creswick' and 'Avoca' station groups. 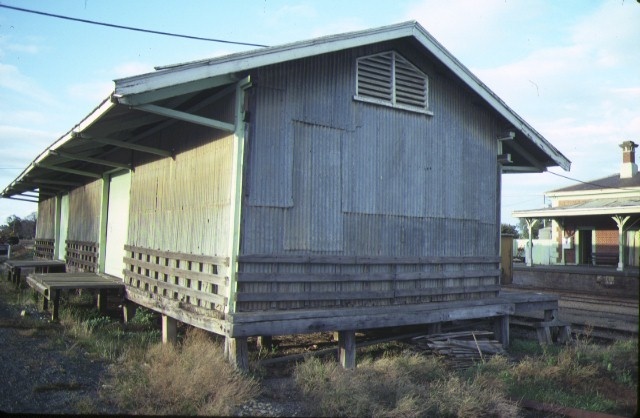 The use of timber to the verandahs was also a unique feature. The station buildings are enhanced by the water tower. 1. 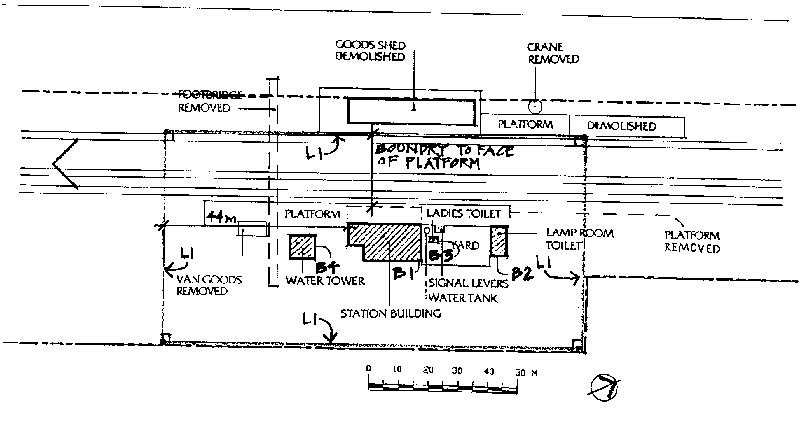 All of the buildings known as the Elmore Railway Station and Water Tower, including the station building (B1), the lamp room/ toilet block (B2), ladies' toilet (B3), and water tower (B4), as marked on plan 601763 held by the Executive Director. 2. All of the land surrounding the buildings marked L1 on plan 601763 held by the Executive Director, being part of land described in Certificate of Title-Volume 9978, Folio 313. Elmore Railway Station and Water Tower are historically significant for their association with the development of the 'light lines' era, c.1869 - c.1884. Following lavish expenditure of the earlier 'main trunk' lines of the 1850' and 1860's, a determined effort was made to minimise the cost of railway construction. The 'light lines' era was characterised by more restrained station building designs (Harrigan, 1962). The water tower is historically significant as a reminder of the pre-eminence of the steam era. 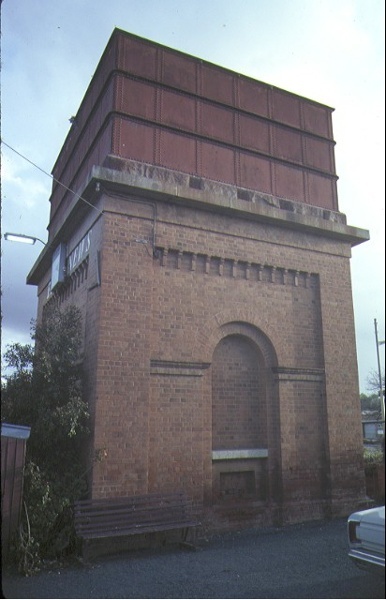 The tower is a substantially intact example of a railway water tower constructed during the late 19th century to facilitate the operation of the steam engines. The purpose of the permit exemptions is to allow works that do not impact on the significance of the place to occur without the need for a permit. The Elmore Railway Station and Water Tower is important for its individual buildings as well as its precinct values. The exterior of the buildings are of prime importance. The interior is important if original fittings and fixtures still survive. Track works and maintenance to the buildings are able to be undertaken without a permit.